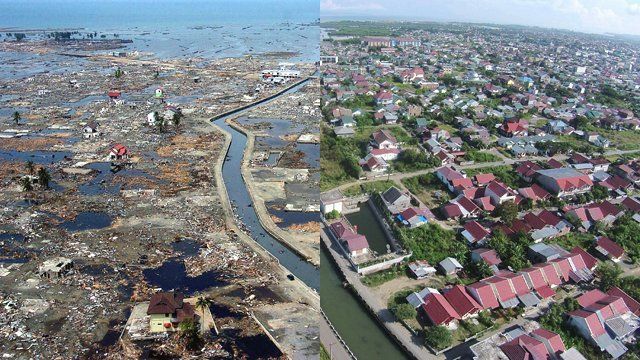 Tsunami: Pictures from then and now Jump to media player This collection of photographs shows the redevelopment of some areas affected by the 2004 Indian Ocean Tsunami. Views after the wave Jump to media player Captured moments - how acclaimed photographer Tim Hetherington recorded life in India and Sri Lanka after the 2004 Tsunami. On Friday it will be the 10th anniversary of the 2004 Indian Ocean Tsunami which claimed the lives of over 220,000 people. This collection of photographs shows the redevelopment of some of the affected areas 10 years on.